Now that I am 36, being fashionable is not so much of a concern. However, I also remember, that as well as being ultra-trendy at the time, every pair of Kickers I owned were extremely comfortable and lasted the whole school year. 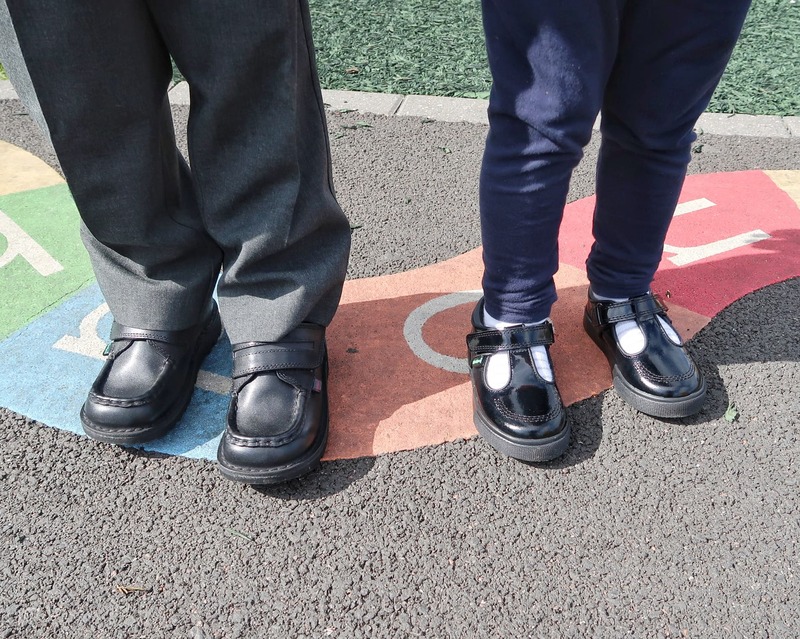 I now have two children who need sturdy shoes for school and nursery. 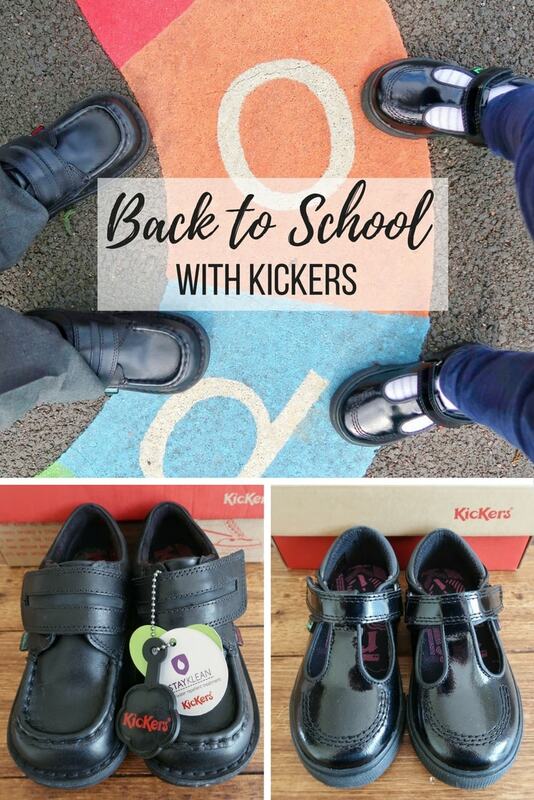 Therefore, when Kickers asked if we could try their autumn Back to School range, I knew it was a good move. 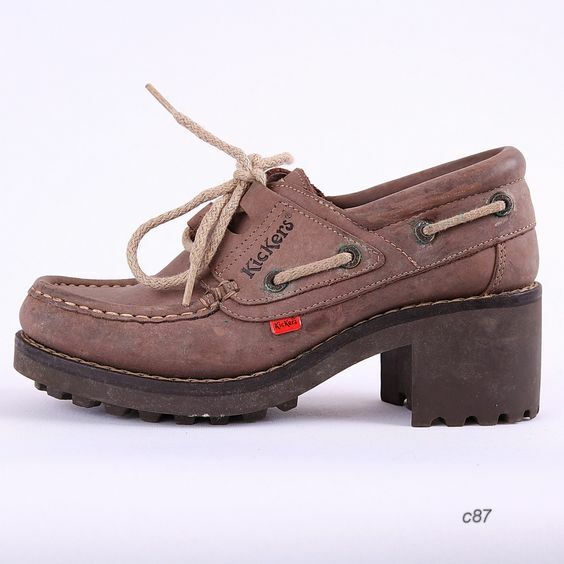 Kickers are a brand which was founded in 1970. During the 80s and 90s Kickers shoes become very successful in Britain. So much so that sometimes children were queuing up to get their hands on the shoes and their iconic flower tag. These days, Kickers are known for how durable and reliable they are. 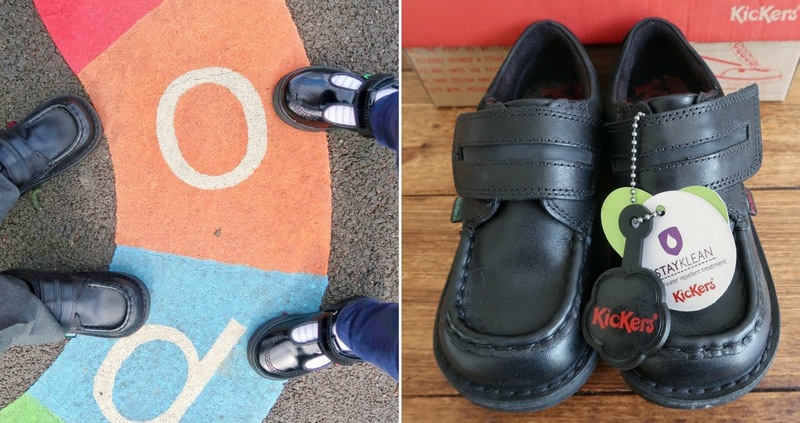 To ensure that their school shoes are more than just footwear, Kickers have built a handpicked set of additional features into their children’s school shoes. They include comfortable padded linings and extra support in the heel area to ensure comfort and they have a reputation for being pretty hard to destroy. Biggest still struggles with fine and gross motor skills and finding shoes with an easy fastening was a high priority for us. 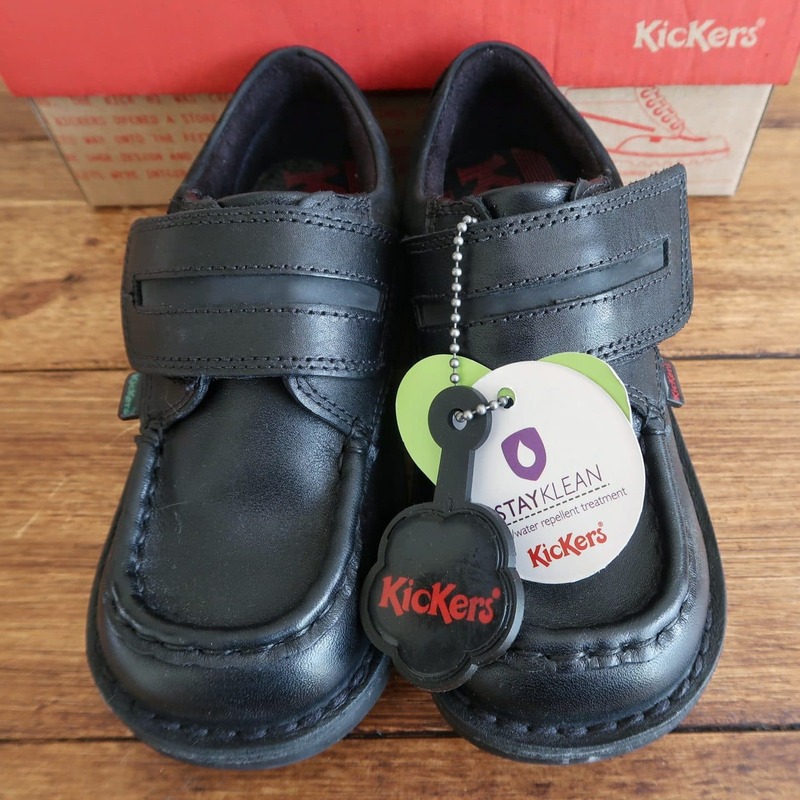 These have a single velcro strap and he can easily take the shoes on and off by himself – this will be so important in developing his confidence, as he will have to get dressed and undressed for things like PE at school. The shoes are very robust and well-made but feel soft and cushioned inside too. 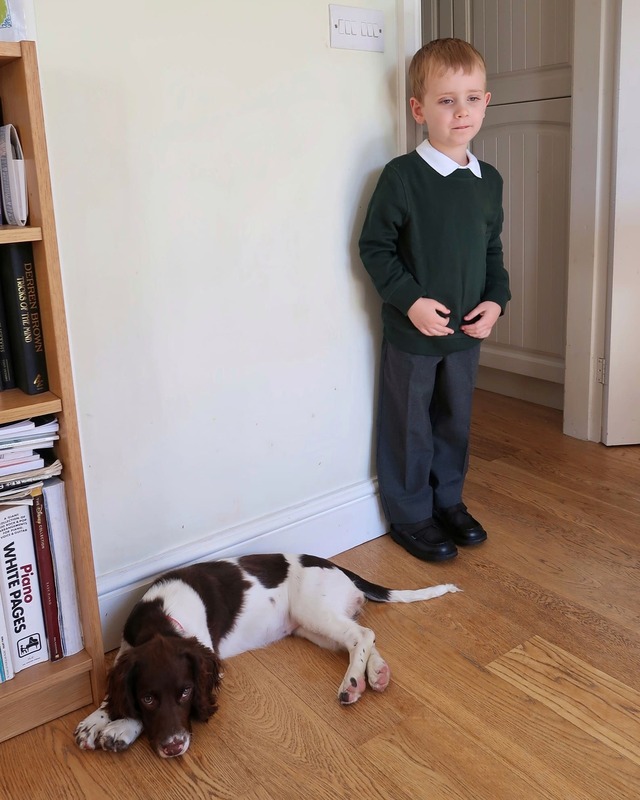 I think you will agree that he looks pretty smart and ready for school in them. Even though Littlest is not yet at school, she still attends nursery two days a week. She spends a lot of time being active and outdoors at nursery, and she is much more adventurous than her brother generally! She also needs a good pair of sturdy shoes that can keep up with all her adventures. For Littlest, we chose the Tovni T Infant. Again, the shoes look so durable and feel cushioned and comfy. The patent leather and T-bar details also mean they look very smart. The shoes are therefore pretty versatile and Littlest should get a great deal of wear out of them. Both children have worm their shoes outside several times now. 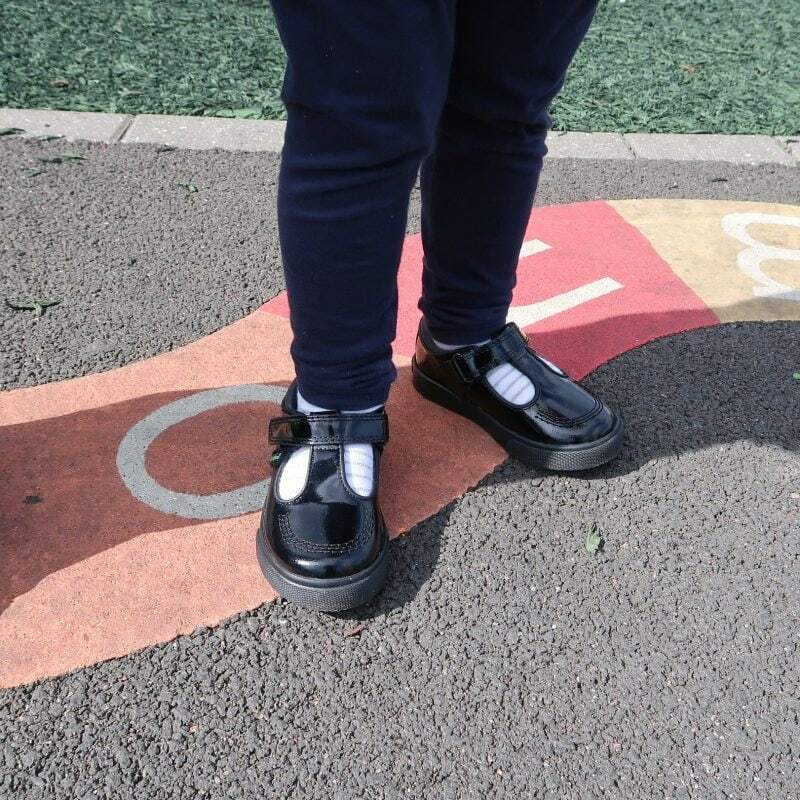 I am really impressed with the quality and the children seem to find them comfortable and easy to walk in. Littlest’s summer shoes were canvas pumps and she did have the problem of catching her feet and almost tripping in them. So far, she seems to not have that issue with the Kickers. Biggest is so excited to wear his special school shoes on his first day. I am pleased that we have found a pair that are robust, comfortable and that he can take on and off easily. Kickers really have taken the stress out of the back to school shoe shop! Please note, this post is in collaboration with Kickers. 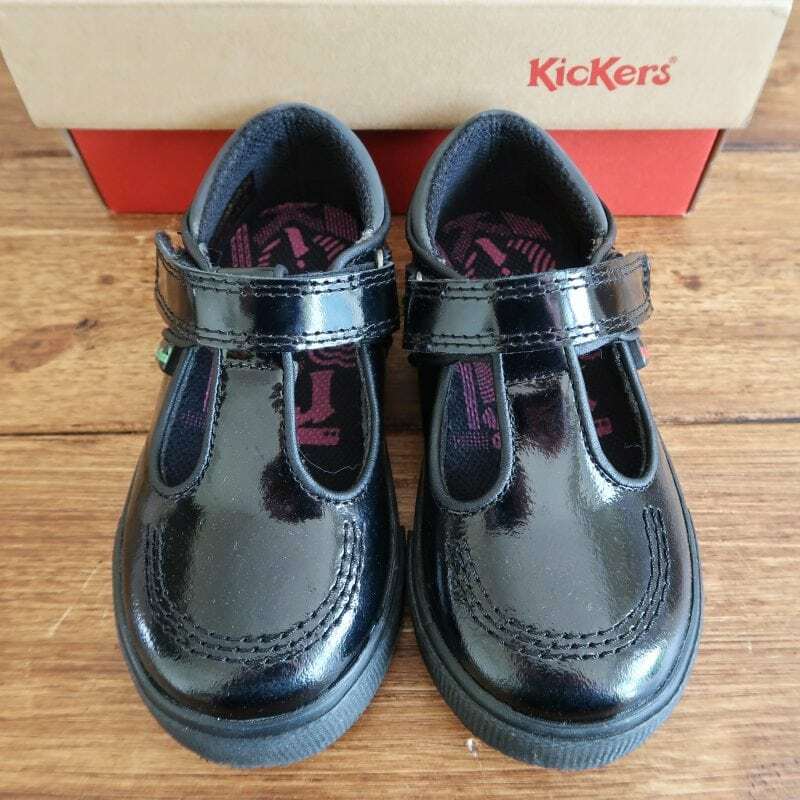 Kickers sent us the shoes in return for an honest review.